Spend a Day in Morrisville, N.C.
Just west of RDU International Airport and south of Research Triangle Park is Morrisville, a small but growing enclave known for its diversity, educated populace and cultural vibrancy. Twenty minutes from downtown Raleigh, Morrisville makes for an easy esape—outdoor adventures, indoor rock walls and global cuisine await! Start off your day with breakfast at The Brunch Box—breakfast burritos and sandwiches as well as biscuits and gravy are staples at this counter-serve spot. The hearty food is great fuel before you begin your action-packed day (and pick up one of their "Reese&apos;s Big Boy" peanut butter cookies to snack on later!). After your delicious breakfast, drive about 10 minutes over to the RDU Observation Park at RDU International Airport. RDU Observation Park provides sweeping views of RDU&apos;s 10,000-foot runway and is located near the air traffic control tower. Locals and visitors alike, with kids in tow, spend hours plane-watching and listening to pilot-tower communications through the audio speakers on the elevated observation platform. If the weather is nice, drive a few minutes down the street to Lake Crabtree County Park. The main entrance is on the Aviation Pkwy. side and offers two playgrounds for children to enjoy, a boat dock where you can rent sailboats, canoes and kayaks, plus an observation tower. Hiking around the lakeshore is a popular activity that offers exceptional views of the water and forested land, and some of the area&apos;s best mountain biking access is just steps from the parking lot. For a light, healthy lunch, head to Neomonde Mediterranean for traditional Lebanese favorites like tabouli, falafel, chicken kabobs, hummus and fresh baked pita bread. Take in the aroma of the fresh baked bread; this Neomonde location is dedicated to baking bread for numerous restaurants and grocery stores throughout the Raleigh area and beyond. Get ready for an action-fueled afternoon! Head to Triangle Rock Club for a great indoor activity for the whole family. Day passes and rental gear are available, and Triangle Rock Club is an excellent place for your first rock climbing experience. 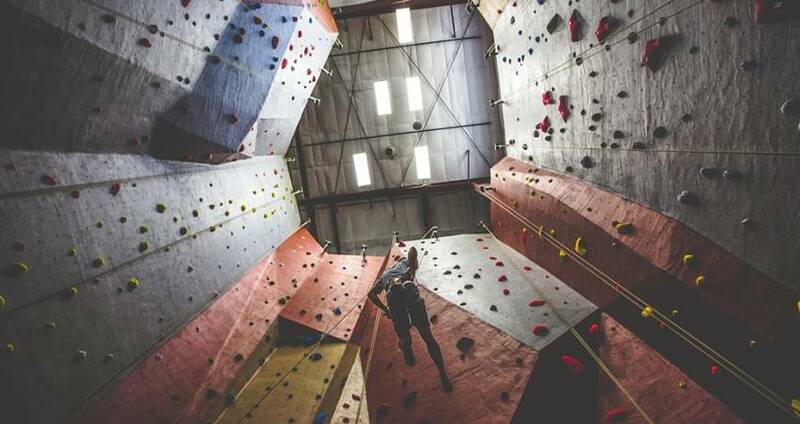 The walls span to 55 feet making the terrain the biggest and tallest in the five nearest states, with more than 200 climbing routes and boulder problems for you to tackle! After all of that climbing, you&apos;ve probably worked up quite the appetite! Escape to Old Havana with a visit to Carmen&apos;s Cuban Cafe and Lounge. This popular restaurant serves up authentic Cuban fare and mojitos and even offers live Latin music on the weekends. Order the Platanos Maduros (sweet plantains) for an appetizer and try the Lechón Asado (slow roasted pork) for your main course. End your day trip to Morrisville with a few libations at Bottle Rev RDU. This bottle shop is the perfect place to learn about unique craft beer offerings and to enjoy a couple pints from the tap list at the bar. Create your own six-pack of locally-made brews to take home with you!